This 8-year-old C. reticulata seedling of ‘Curtain Call’ x ‘Pleasant Memories’ first bloomed in 2008. 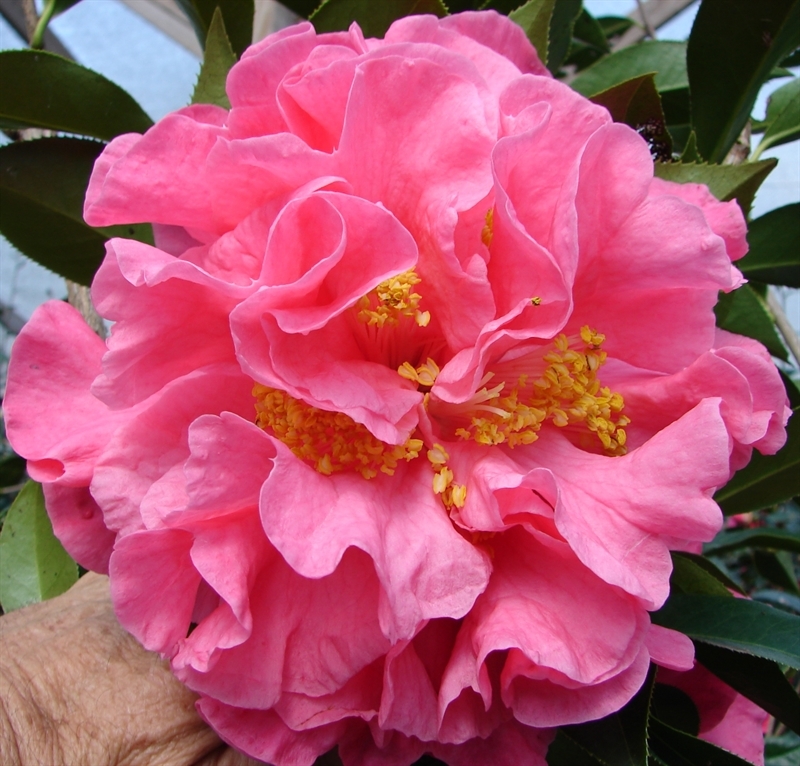 It was originated and propagated by James and Elaine Smelley of Moss Point, Mississippi. It was registered by James Smelley of Moss Point, Mississippi. Bloom: The very large sized 7.5” x 4” semidouble form flower is medium pink. It has bright yellow anthers and white filaments. The long lasting blooms falls in one piece with consistent form. The flowers have 16 fluted petals with a heavy petal texture. Plant: The plant habit is upright and spreading. The growth rate is vigorous. The plant is suitable for landscaping and exhibition uses. Leaf: The dark green leaves average 5.5” x 2.5” with medium serration.